I have been asking this question to both people who are artist and scientists by trade, and also those that simply 'dabble' but are not professionals. The interesting thing is that I haven't been able to find any real distinctions between these two disciplines, which makes me wonder why we feel the need to teach and practice art & science in completely different ways when it could very well be just two different perspectives of the same thing. I think this might be more of a philosophical question than something that I could shed light on by asking artists or scientists. But in fact I have tried to find examples of people who seem to engage in a higher level of creativity, and most of the time you find that it is difficult to describe their work as simple art or science. Can anyone point to any philosophical argument as to why there is a need for this distinction between art and science, and where it started from? A rather simple answer is that art and science follow different goals and norms: what counts as good art is not what counts as good science. Typically, science will focus on objectivity, systematicity and reproducibility, which means that scientists should ideally be interchangeable when it comes to evaluating theories, confronting theories to experience etc. For these reasons, rationality and non-ambiguity are pursued. To the contrary, artists can explicitly seek non-reproducibility, for example in performances or ephemeral art (though they do not always do), and value personal expression and subjectivity in evaluation rather than interchangeability. A piece of art needs not be rationally justified and can be ambiguous. The values explicitly endorsed by scientists are epistemic (they seek knowledge of the external world, they want to be able to predict natural phenomena) whereas artists endorse aesthetic values. Another difference is that the main products of scientific activity are theories, which are abstract entities that we can understand (considering technologies to be a by-product--although this is debatable) while the main products of artistic activity are concrete entities (either objects or performances) that we can perceive. 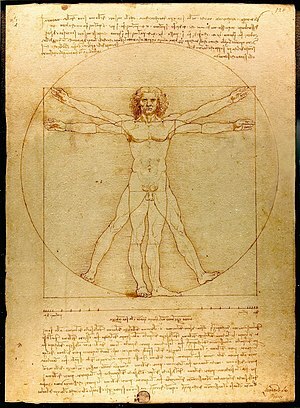 Its accompanied by notes on the Roman architect Vitruvius who "described the human figure as being the principal source of proportion among the classical orders of architecture"; its interesting that da Vinci was working at the beginning of renaissance in Italy, that is the re-awakening of Greek philosophy; and here, one can speculate da Vinci shows humanity in harmony with science; one might even call it a prophecy. after the industrial carnage of WWII and the holocaust; the dream had turned into a nightmare. Art is a reflection on our place, as human beings in the scheme of things; as is science, nevertheless the subjects are as distinct as the fingers on one hand; an artist may make take science as a subject, and a scientist may liken his work to art as art is more immediately accessible; yet knowing Maxwells equations that describes how electromagnetic radiation radiates does not tell us how light, colour, line, shape and mass affects sensibility; the latter is our common human inheritence; it is with sensibility that artists work with and not sense - which does not mean that they lack sense. Making a shoe has the same equivalents: science, knowing the theory of leather; technique: using the hands to make a shoe; art, making a nice and useful shoe. Science is not only about academic knowledge. Technique is not only about industrial knowledge. Art is not only about paintings and music. For your question, science is just pure knowledge, art has a social impact. You are an artist if you make a beautiful shoe, even if you don't know its science. But knowing it helps it lasting longer and being more functional. Modern science is defined by reproducibility. It is not enough to work, it must work consistently. Art, almost by definition, is the individual work of genius. Art that is too closely based on a prior model is dismissed as hackneyed, cliched and unoriginal. It serves both a scientist and an artist to be exceptional technicians. But that's where the resemblance ends. You might find Thomas Kuhn's The Structure of Scientific Revolutions relevant for the way in which it distinguishes between the normal practice of science, and the occasional leaps of logic beyond it. 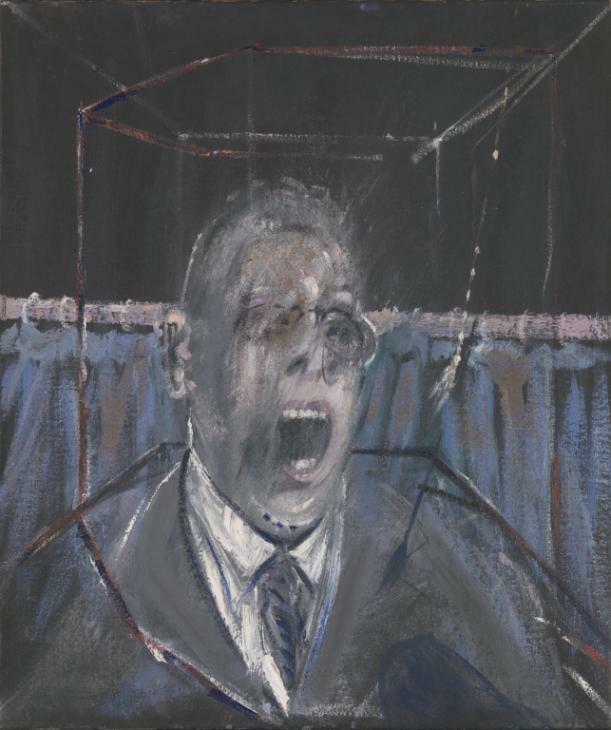 You might say what is exceptional in science (going outside the pre-existing framework) is the normal expectation in art. Not the answer you're looking for? Browse other questions tagged philosophy-of-science art or ask your own question. Is Mathematics an art or a science?